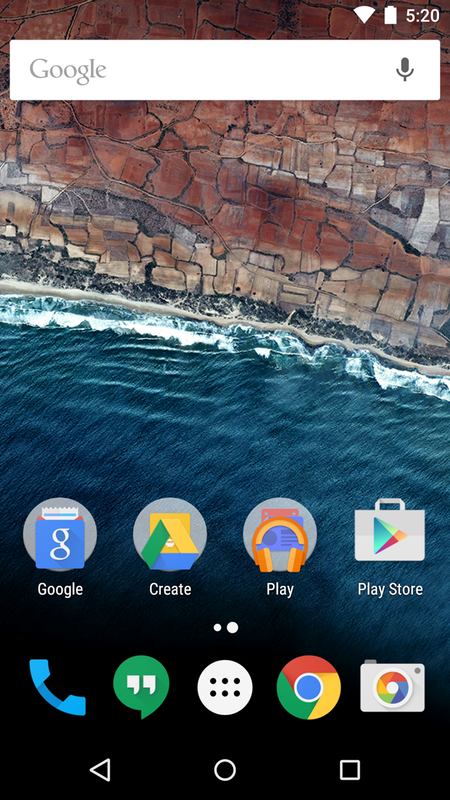 In the second version of the Android M Developer Preview, there's a new entry in the Developer options menu called "System UI tuner." (We previously took a look at this in the story about removing permanent items from the network cluster area.) 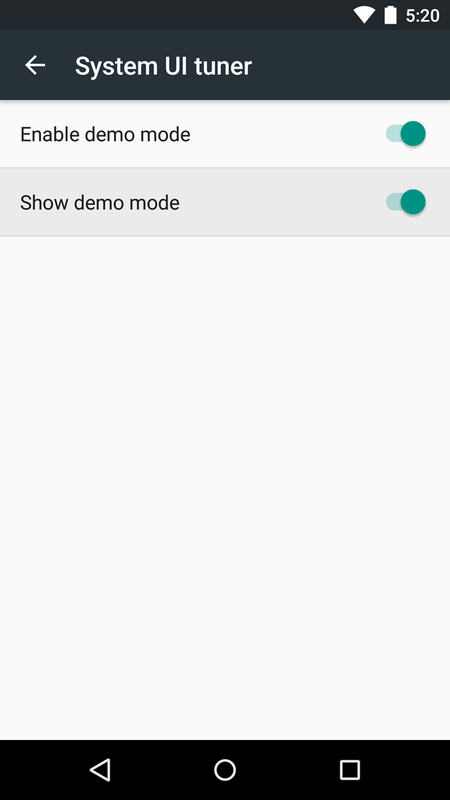 Open the System UI tuner and you can also see an option called "Demo mode." 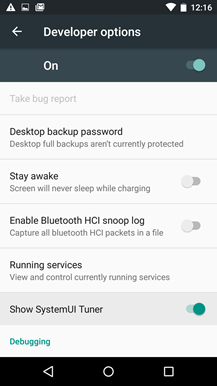 Enable this, then turn it on, and your statusbar will hide all notifications, even new incoming ones, though they may still appear temporarily as heads-up notifications. 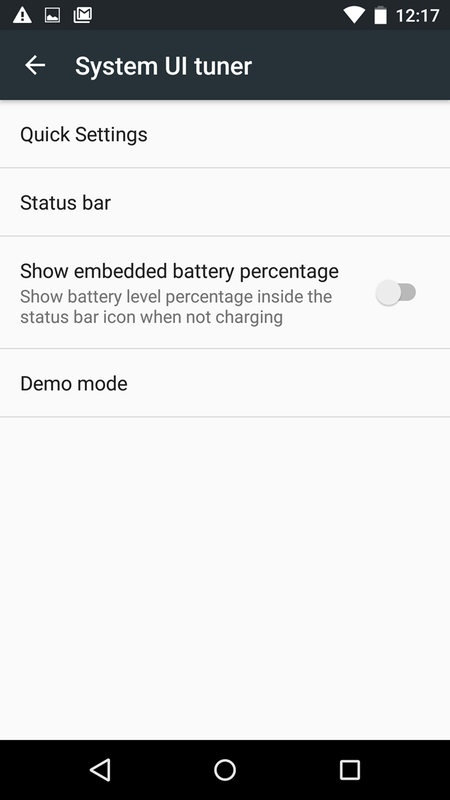 It will also lock the battery display at 100%, show full bars for Wi-Fi and cellular data (if applicable), and set the clock to 5:20. 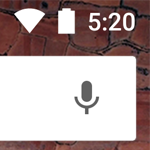 This is presumably for "Android 5.2," at least provisionally - recall that all official Google press images for Nexus phones show the current version of Android in the clock, i.e. 4:40 for Android 4.4, 5:00 for Lollipop, and so on. 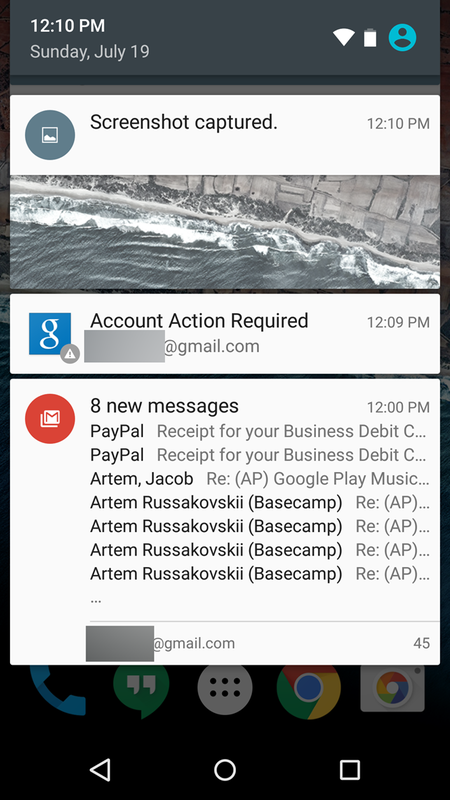 Your notifications are still accessible, as is the true time, battery level, et cetera: just open the notification bar and you'll see any messages you haven't dismissed. 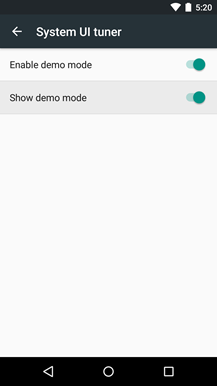 Demo mode is perfect for developers who want to take screenshots or videos for the Play Store, and also for gadget bloggers who want readers to actually pay attention to said screenshots. 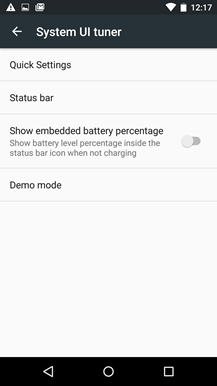 Unfortunately there's no easy way to disable it and get back to normal display mode right now; you have to go back to the System UI tuner and manually disable Demo mode. 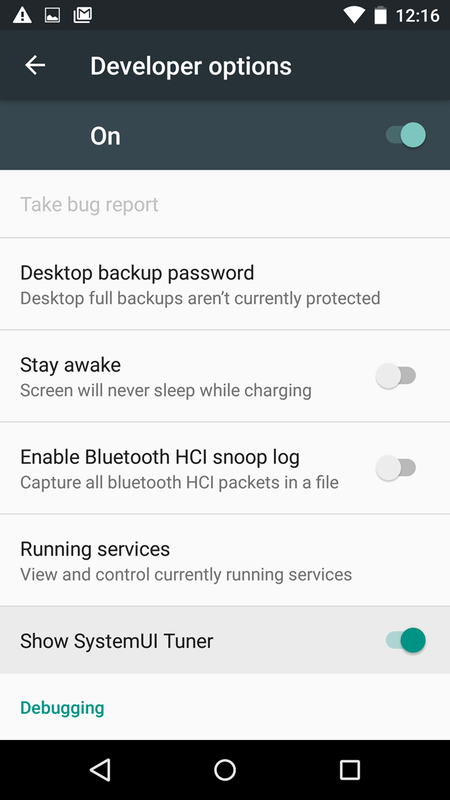 Maybe Google could add a Quick Settings toggle before the public release of Android M?